What is Humanism? How do you live a good life without a god? And other Big Questions for Kids, by Michael Rosen and Annemarie Young, offers young people an excellent introduction to Humanism. The book is a fantastic resource that will enable young people, whatever their background, to learn what Humanism is, and discover how many non-religious people try to live happy, ethical, and fulfilling lives in the here and now. The book explores questions on life, death, science, nature, morality, meaning, and purpose from a humanist perspective. It features interviews with humanists, including Philip Pullman, Shappi Khorsandi, Natalie Haynes, and Jim Al-Khalili, and asks them how they approach life’s biggest questions. 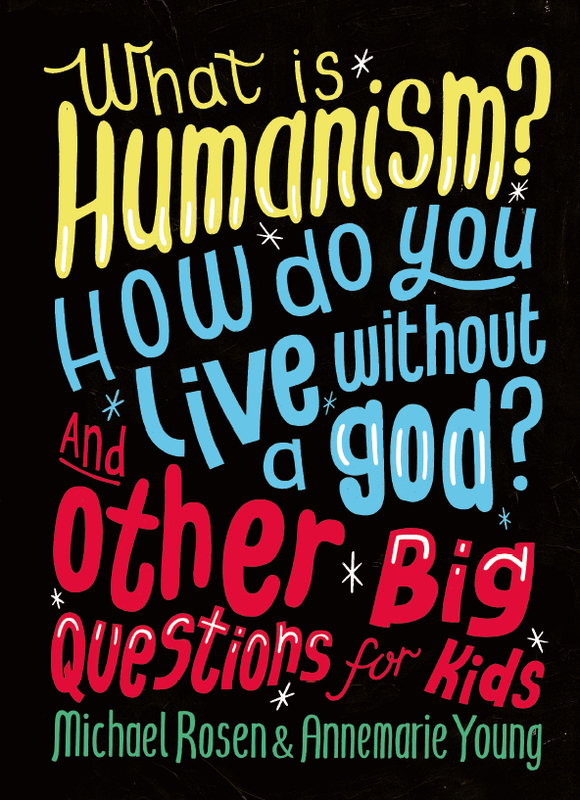 Understanding Humanism is making this fantastic book available for free to schools in the UK. To request your school’s free copy, please click here and complete the form. Books will be distributed within one month or ordering. Please note this book is only available for free to schools. We can only provide one copy of the book per school. If somebody from your school has already requested a copy, we may not be able to send another. Additional copies of the book are also available to buy here. For a wealth of other education resources to support you with teaching about Humanism, see our teaching resources. You can also request a visit from a free, local humanist school speaker to talk about the book.